Benetton became a Formula One constructor for the 1986 season and their first car, the B186, was driven by Gerhard Berger and Teo Fabi. In 1991, Michael Schumacher joined the team and we’ve featured the very Benetton car he scored his first F1 podium with. And that’s it. After that, it was the team’s spare car for San Marino and Monaco. The car was never damaged and still retains a Ford HB race engine. It sports the correct as-raced Camel livery. This is a rare chance to acquire a Michael Schumacher-raced Formula One car (and the car he scored his first 2nd place finish in). Big money required (but I guess if you’re going race car shopping in Monaco you’re probably covered). Click here for more info and here for more from RM in Monaco. The Toyota Supra. Mazda RX-7. Mitsubishi 3000GT. And the Nissan 300ZX. These were the sportiest Japanese cars you could buy in the 1990s. But by the mid-to-late 90s, they were all gone. As the prices came down on used ones, high schoolers took over, modifying them beyond repair. This car is a glimmer of hope. This generation of Nissan’s Z-car was built between 1989 and 2000 (although they ceased arriving on American shores after 1996). The engine is a 3.0-liter V6 making 222 horsepower. An even-sportier twin turbo model was also offered. This car does have the glass T-tops. Because so many of these have been driven into the ground by young people desperate to get their hands on something fast, not many remain – especially this clean and in this condition. In fact, Supras and RX-7s are climbing in price and are hardly ever seen. This is the most common of the three but you never see one that really looks like its got its stuff together. It’s a low-mileage, one-owner car estimated to bring $25,000-$30,000. Hopefully it goes to a good home. Click here for more info and here for the rest of Auctions America’s lineup. If you haven’t noticed, we tend to feature a fair amount of supercars around here. We especially like the low-volume ultra-rare kind you only find squirreled away in Europe somewhere – just like this Venturi 400 Trophy. Venturi still exists, though their main focus today is more on electrifying existing vehicles today than on supercar production. There were two 400 models: the GT and the Trophy. While the GT was the rarer, road-going version, the 400 Trophy was actually built for a one-make racing series. The Trophy cars were built between 1992 and 1994, with 73 being created. They are powered by a mid-mounted twin-turbo 3.0-liter V-6 making 400 horsepower. This particular car is fitted with a passenger seat and lacks any sort of decals that mark it as a racing car. This leads me to believe that it can probably be road-registered in Europe (Venturis were never sold in the States). At any rate, it won’t come cheap. But you can find out more here. This car might be almost 25 years old, but make no mistake: it is a modern Formula One car. Modern Era, at the very least. 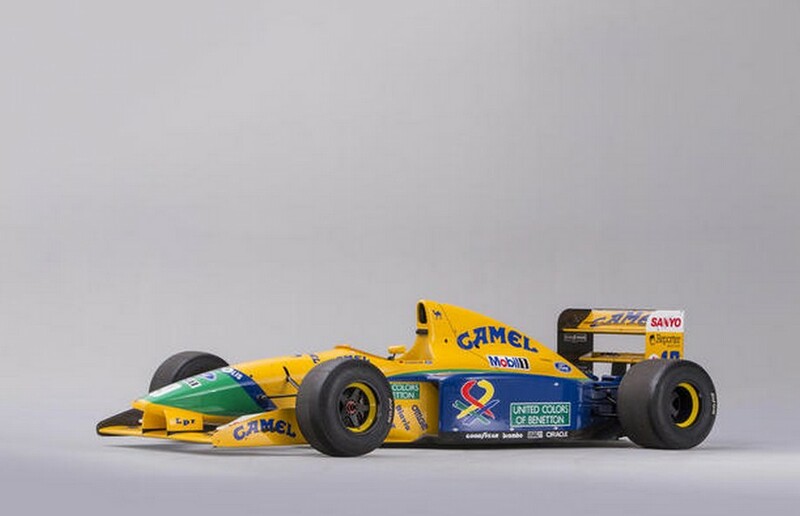 This was a Benetton team car for both the 1991 and 1992 seasons, years where they had Michael Schumacher, Roberto Moreno, Nelson Piquet, and Martin Brundle as their star drivers. 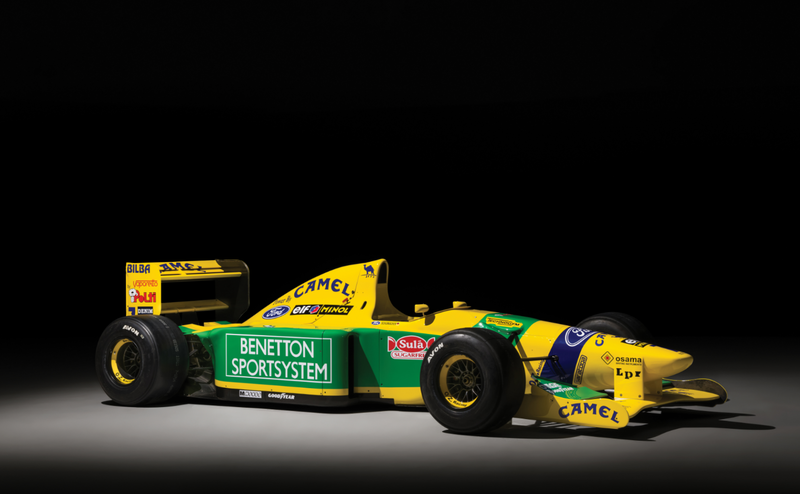 After Brazil in 1992, Benetton had its B192 ready for action and the B191B was parked. This car is being offered in its 1992 Brazilian Grand Prix livery and it is fully functional. It is a historic racer – taking Schumacher to his first podium and delivering Piquet a stellar final race. It can now be yours for between $380,000-$470,000. Click here for more info and here for the rest of Bonhams’ Bond Street Sale lineup. Update II: Sold, Bonhams Monaco 2016, $1,200,618. This generation of Porsche’s 911 was dubbed the 964. Introduced in 1989, it was a big step forward for the 911 line. It was replaced after 1994. Recently, special variants of the 911 have skyrocketed in price. 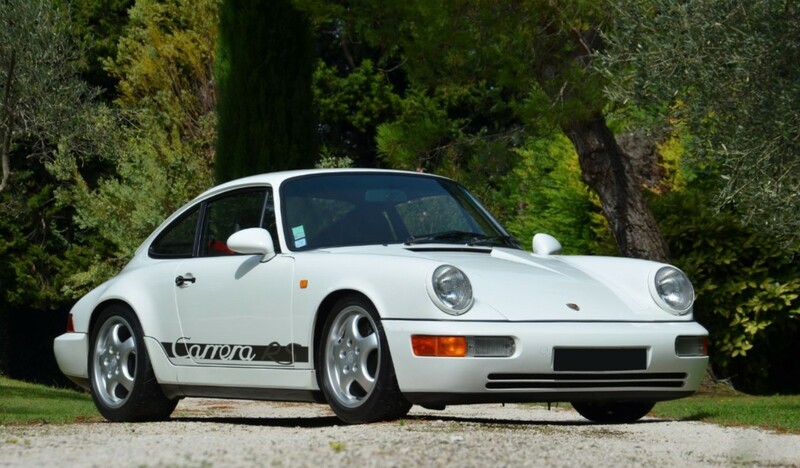 The Carrera RS was built for 1992. It was the first time the RS name had been used since the legendary 2.7 RS of the early 1970s. This new special edition was a homologation model so Porsche could go racing. It was a factory lightweight and was fitted with a special 3.6-liter flat-six making 260 horsepower. It was only sold in Europe. Only 290 were built and this one has had only two owners since 1992 and has only covered about 31,000 miles. It’s been a French car all its life and is being sold in France. It should bring between $290,000-$350,000. Click here for more info and here for the rest of Artcurial’s lineup. It also had 12 other victories and has been owned by Fangio II since it stopped racing. It is being offered for sale for the first time and should sell for between $700,000-$1,000,000. Click here for more info. 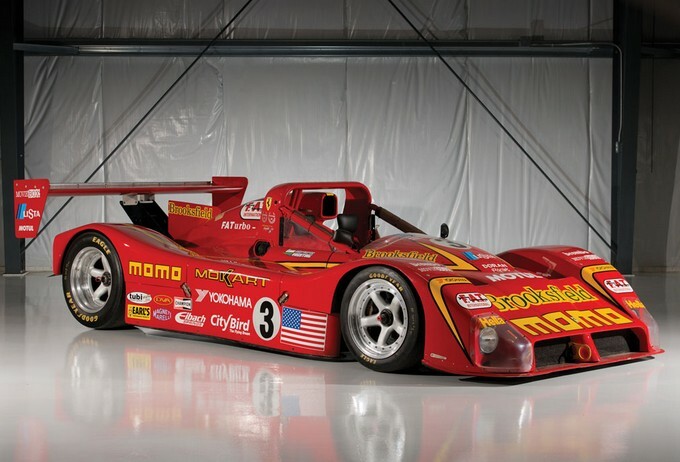 The K8 was an evolution of the Porsche 962. Porsche withdrew from the 1995 24 Hours of Daytona due to last minute rule changes. 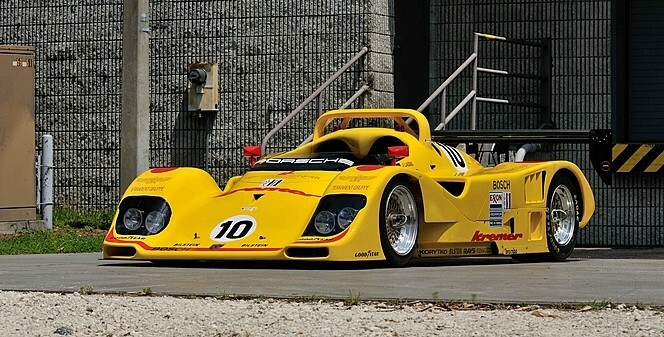 The Kremer brothers of Germany had been producing Porsche race cars since 1962 and they entered this “K8 Spyder” – which had been a Porsche 962 in a previous life. It uses a twin turbo 3.0-liter flat-six and only four were built. This car won the 1995 24 Hours of Daytona with drivers Jurgen Lassig, Christophe Bouchut, Giovanni Lavaggi, and Marco Werner. It also raced at Sebring and Le Mans that year without victory. It maintains its race-winning livery today. It should sell for between $900,000-$1,500,000. Click here for more. The pair of cars were stored after 1984 until original drivers Knoop and Busby found them and restored them. You can buy them now and read more here (and check out the rest of Russo & Steele’s lineup here). The 333 SP is an interesting Ferrari. 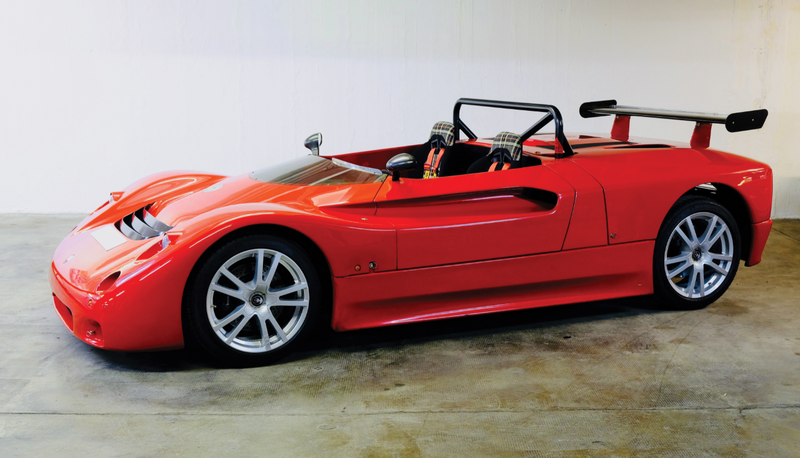 The Scuderia hadn’t gone sports prototype racing in a long time and with this car, they kind of still didn’t. Dallara designed the chassis (and built nine of the cars) and Ferrari never fielded a factory effort with the cars, instead selling them to privateers so they could campaign them. The car still has its MOMO livery (MOMO being the company Daytona winner Giampiero Moretti founded). It is one of 40 ultimately built (Ferrari built five in addition to Dallara’s nine. Michelotto built the rest). RM didn’t publish an estimate, but you can read more here. Update: Not sold, high bid of $3,400,000. 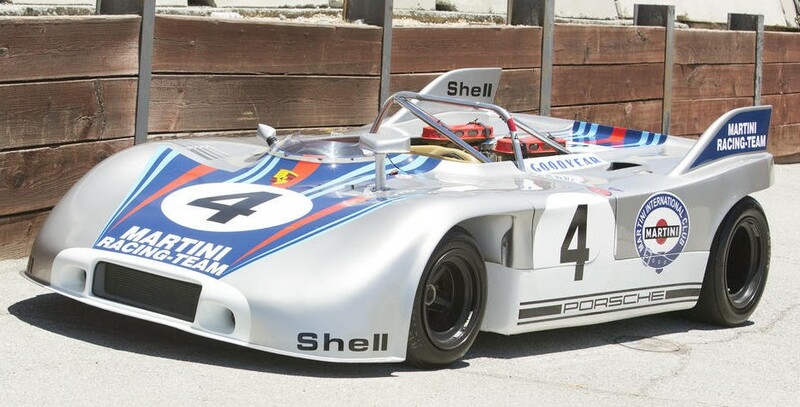 The Porsche 908 was their prototype racer from 1968 through 1971. It replaced the 907 and preceded the 936. It’s basically a little wedge with two Batmobile-like fins out back. The engine is a 3.0-liter flat-eight making about 370 horsepower. It could top out around 180 mph. The /03 was the third evolution of the 908 and was made for 1970 and 1971 only. This car was never raced, instead used for extensive testing by the Porsche factory team. It is one of 13 908/03s built. This car, chassis #002, should sell for between $1,800,000-$2,300,000. Click here for more info. The 3000GT was the coolest car Mitsubishi ever built – and yes, that includes the Evos. 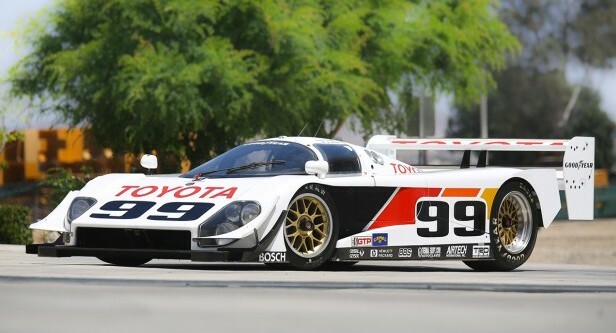 They were built from 1990 through 2001 and the competitive set through those years included the Toyota Supra, Nissan 300ZX and Mazda RX-7. But there was never a factory convertible offered on the 3000GT. There were, however, conversions available from convertible masters ASC (American Sunroof Corporation), whose name was a little misleading as they tended to chop the entire roof off instead of just making sunroofs. 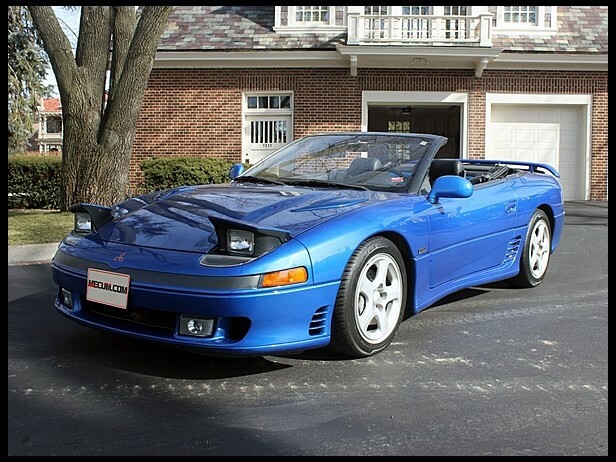 Anyway, the ASC convertibles were only available for the 1995 and 1996 model years. And they were retractable hardtops. So what gives here with this rag top car? Well let’s start with the fact that it is a VR-4 – the king hell version of the 3000GT. What the VR-4 model got you was 4-wheel-drive with a 296 horsepower 3.0-liter twin turbo V-6. Pretty desirable among these cars. But someone (Mecum’s description says “Californian R. Strahan” but I have no idea what that refers to) lopped the roof off and installed a soft top. And it looks well done. It looks so good, that I’m pretty bummed Mitsubishi never offered the option from the factory. This is a 23,000 mile original car. 3000GTs have not held their price as well as Supras and RX-7s. 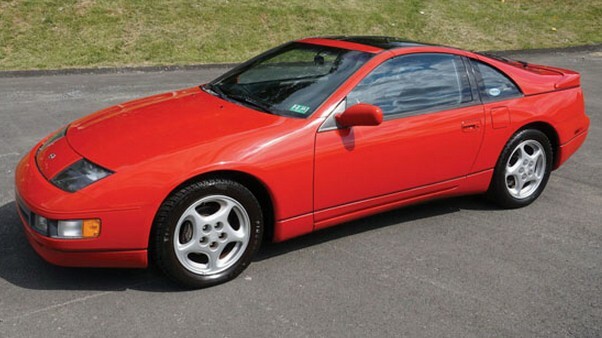 They, with the 300ZX, have fallen off a bit, but the nice ones can still command a premium. And this is a nice one. $15,000 or slightly more doesn’t sound unreasonable at all. Click here for more info and here for more from this sale. 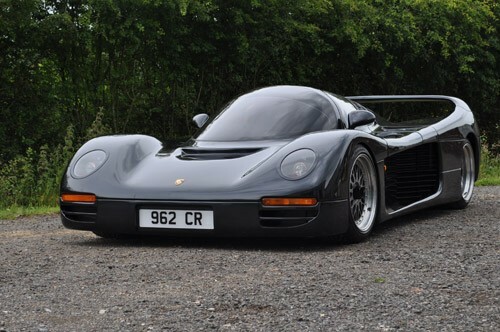 For Sale at Coys | Richmond, U.K.
A couple of weeks ago (or perhaps months ago, the days have been flying by) we featured a Dauer 962 Le Mans, a road car variant of the dominant race car, the Porsche 962. This is a similar idea, although the two cars look quite different – and they should, as they were designed by two different people. Vern Schuppan, an Australian race car driver who has competed in the Indianapolis 500 and Formula One, designed this car as a tribute to his 1983 24 Hours of Le Mans winning 962. The engine is a 3.3-liter twin turbo flat-6 pushing out about 600 horsepower – basically lifted straight from the race car. It’s a serious supercar. Sixty miles per hour comes in 3.5 seconds on the way to 230 mph. The chassis and body were designed and built by Schuppan (unlike the Dauer, which were 962s converted for road use). The price when new was $1.5 million. This was the first one built, chassis number one. Funding for the project was pulled shortly after this was built and only five or six were built in total. 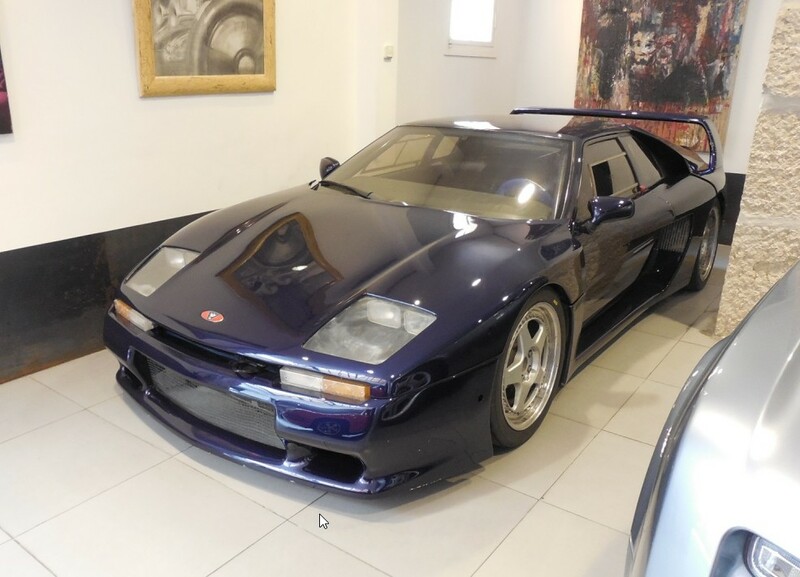 This is an extremely rare opportunity to purchase an extremely rare car with unbelievable performance that still holds up against even the most modern of supercars. You’ll never pass another one on the road. To see/read more, click here. Unfortunately, Coys isn’t listing an asking price.